I know, I know. You’re young or young-ish, you need an income, you have obligations. There’s no trust fund in sight, retirement is a distant milestone, and buying lottery tickets seems futile. Do you often think to yourself . . . what would it be like to never work again? What if, somehow, I could escape my job? You are not alone. 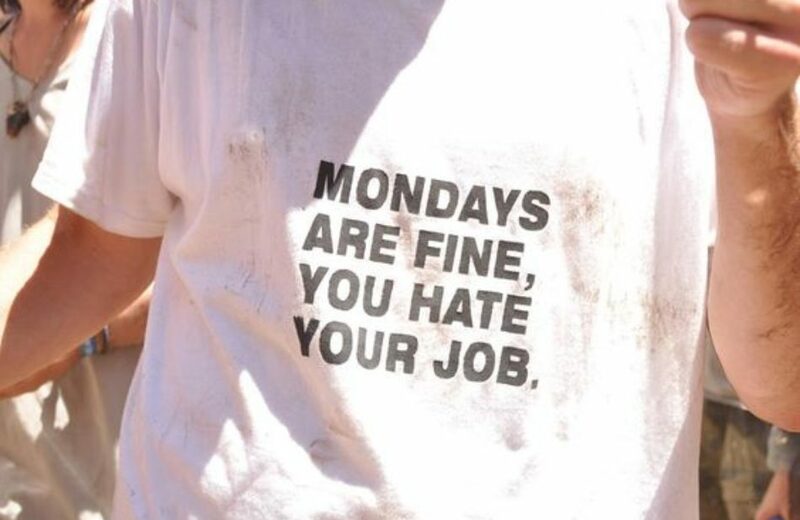 Unfortunately, studies show the vast majority of people who are employed do not love their work. Actually, based on the countless conversations I have with clients and potential clients, most people are barely tolerating what they do for a living. Today one of my clients and I were discussing the difference between loving the work you do and having a j.o.b. She was telling me about her husband who was recently promoted into a position that sets the stage for him to move further up within his company. The problem is, he’s not enjoying it. It doesn’t suit his personality. He doesn’t get to use his favorite skills. It requires too much travel for his liking. It’s just not a good fit. She told me that he used to love his work. He found it fulfilling and had once commented that “someone is going to soon figure out that I don’t do anything.” What he meant was it didn’t FEEL like work. He was enjoying himself so much that he felt fraudulent being paid because it was so effortless. In truth he was very successful and led his department to achieve significant results. I recalled a similar situation with a favorite boss from my corporate days. Our division was booming, and my boss — the president — said to me one day, “Julie, don’t tell anyone this, but I’ve never worked so little and made so much money!” I was amazed. He had led our division to triple its sales in recent years. He didn’t do anything? Are you kidding me? He was a well-respected and committed leader, a born idea person, and a solid profit generator. He was forward thinking and inclusive, smart, energetic, and easy-going. The truth was that his leadership role was as natural to him as breathing, so he didn’t feel like he was doing nearly enough to earn his salary. Quite the contrary. His role was big and he was acing it, authentically. Thankfully, I feel the same way about coaching. It’s not work, it’s my passion. It’s a perfect fit for my personality, experience, education, and values. I’ve never felt more fulfilled, happier, or as free as I do now. It doesn’t matter to me if it’s Sunday, Tuesday, or Friday or whether I have a full schedule or a lighter one. It’s all good. My work and my life are balanced and are a vivid expression of true me. If you’re reading this and you’re not wildly enjoying your career, I want you to know that more is possible for you. You don’t simply have one option, you have multiple options. It’s difficult to entertain new possibilities, to be objective about your skills and talents, to identify your strengths by yourself. I would love to help you discover your passion and layout a practical path to a career that allows you to express all of who you are. You have much to offer, and the world needs you and your unique contributions. Strong matches exist for you. Not just any job, but a role that resonates with you, one that fits you to a T. There’s a fresh path waiting for you. Are you ready? Ready to take the next step so that you, too, can never work again?